Get Ready! is a pre-employment training designed to prepare young people with the essential job skills needed to successfully land a job and to navigate the work environment. Get Ready! delivers a curriculum with a youth focus that creates a fun and engaging environment. Get Ready! training's are co-facilitated and led by local professionals with a passion for young people and a wide variety of experiences in the professional world. BrookLynk alumni also co-facilitate training, bringing unique perspectives to the world of work as a young person. First time job-seeker or a young professional with experience? Either way, Get Ready! is fit to help young people either start or continue their professional development by providing three different training tracks. Learn more about those training tracks below. Get Ready! 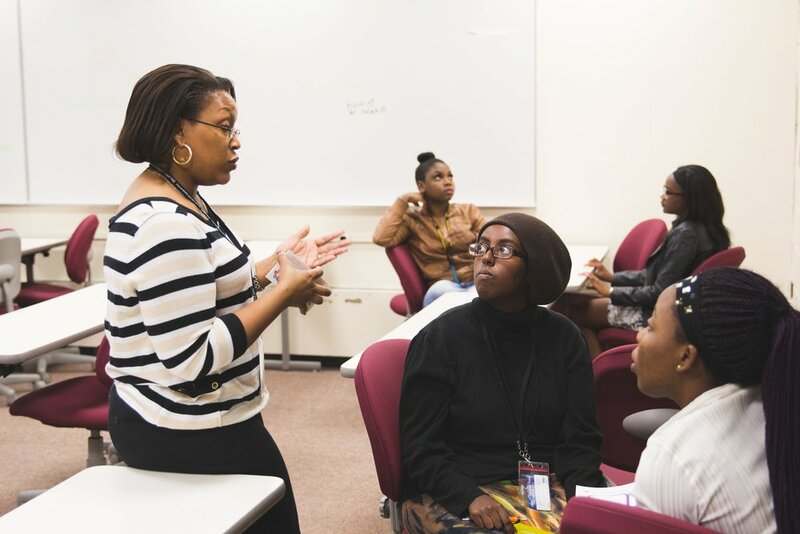 training through BrookLynk is open to young people between the ages of 14-21 (by June 1, 2019) who live in Suburban North Hennepin and face a barrier to employment. Also, to be eligible for Get Ready!, young people can not have been previously or currently enrolled in college (PSEO or concurrent enrollment is okay). Not sure if you're eligible for Get Ready!? Click here to learn more about the eligibility requirements and to see if you qualify. Job interviews can be intimidating and nerve-wracking, but they are very important part of the job process. Job interviews allow for you and the employer to determine if the job will be a good fit. Knowing how to answer the question is one thing, but knowing how to ask questions during an interview is another. 'Professional Etiquette' has to do with how you act, what you say and what you do on the job. In this training you'll learn about the culture of business,and the best ways to interact with your co-workers. To be sure BrookLynk provides young people with a high-quality training experience where they learn what they need, we offer three training tracks that young people. Our goal is to help young people learn the skills that are most relevant to their professional development.